I’ve made a decision, and I’ve started my new favorite project (or at least my favorite for right now)! I grabbed my lovely Haze Heather Wool of the Andes Superwash and started casting on. 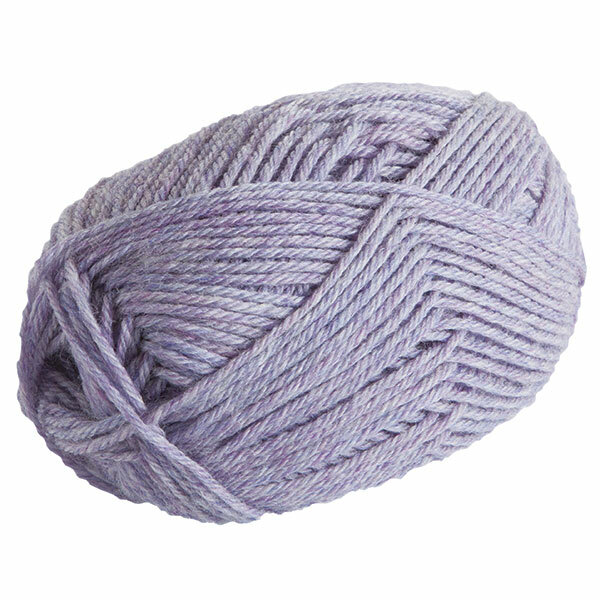 It’s really a lovely color, perfect for spring knitting with shades of lilac and violet. I purchased a copy of the Stranger Cardigan. I wasn’t sure about that shape, frankly, I’m still not sure. But, those cables! How could you pass up those cables? They’re too pretty for words. 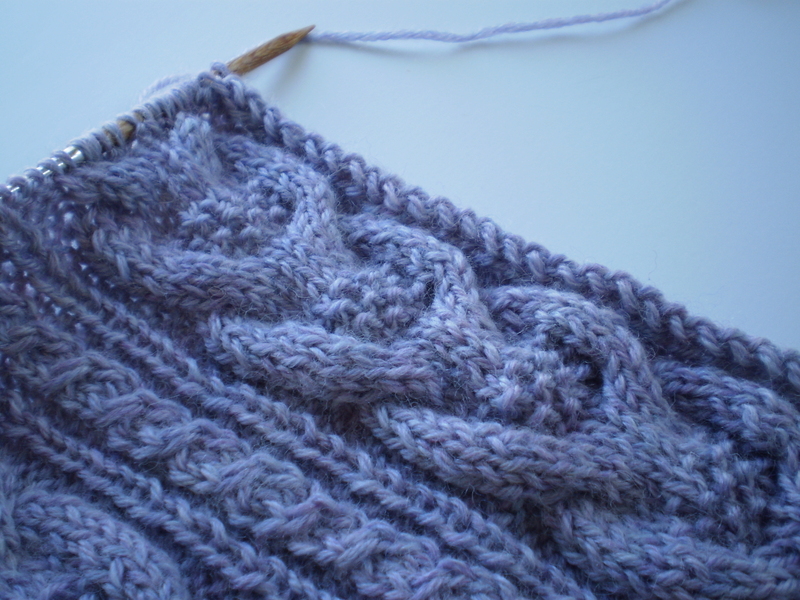 I cast on with nice big needles (for maximum coziness) and have been chugging away at it for a few inches. It’s been so long since I’ve done a real cable project- I’d forgotten how much fun they are! So interesting to knit up, and so satisfying after they’re finished. 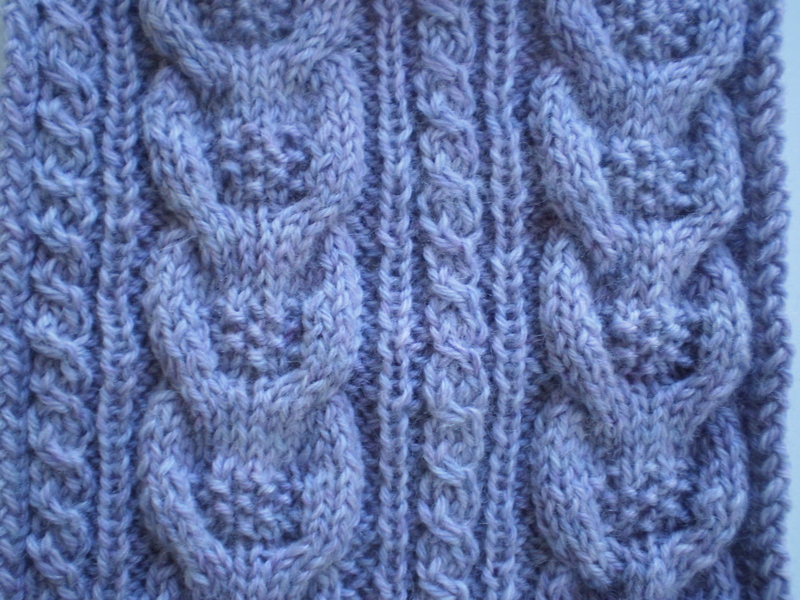 I don’t know how the sweater’s going to look when I’m done, but so far, I’m loving this big, cozy, cabled panel! 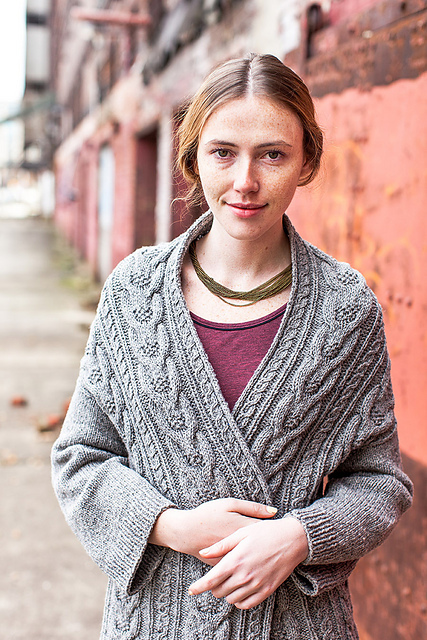 This entry was posted in On My Needles and tagged cable, cables, knitting, On My Needles, stranger cardigan on April 8, 2016 by onemilljellybeans. It is so pretty. Love the cables and the color you are using!